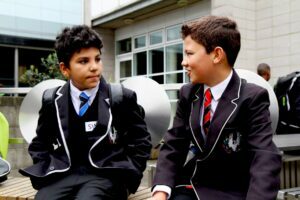 At Ernest Bevin College we admit 180 boys into Year 7. Admissions are co-ordinated by Wandsworth Council. Boys are admitted who live in Wandsworth and other local boroughs. 60 places are offered to those who achieve the highest scores in their Wandsworth Tests. The remaining 120 places are offered to Looked After Children or those with exceptional medical/social needs, those boys who have a brother (or sister in the Sixth Form) at the time of starting and those who live closest to the college. We welcome prospective pupils and their parents to come and visit the school either on an Open Day or to telephone the school office to arrange a tour.